If you have been accused of violating the terms of your probation, it is extremely important to consult an experienced criminal defense attorney immediately. When your future is at stake, there is no time to waste. If addressed quickly, these situations can sometimes be handled without your probation being revoked. Contact us today to discuss your circumstances with an experienced Florida probation violation defense attorney. 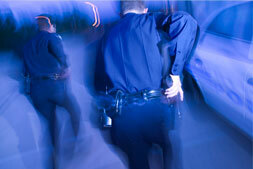 If you are on probation and accused of another crime, the situation can become complicated. You need an attorney with the skill and experience to fight to keep you out of jail for the probation violation while handling your defense against the additional charge. If the violation of probation actually occurred, we can still pursue options that give you a chance of avoiding incarceration. This may involve arranging an in-court surrender and negotiating a time-served sentence or the imposition of additional time or conditions to your reinstated probation. Our firm has a record of success in obtaining results for clients accused of probation violation. Call our offices in North Miami, Weston and Coral Springs at 855-352-8425 to discuss your case with a respected South Florida criminal defense lawyer.